Ballet West is known for bringing lovely stories to life in the month of February and 2018 is no exception. With the return of Sir Frederick Ashton’s Cinderella—widely considered the greatest ballet interpretation of the fairytale—the company delivers humor, romance and enchantment to ticketholders through February 25. 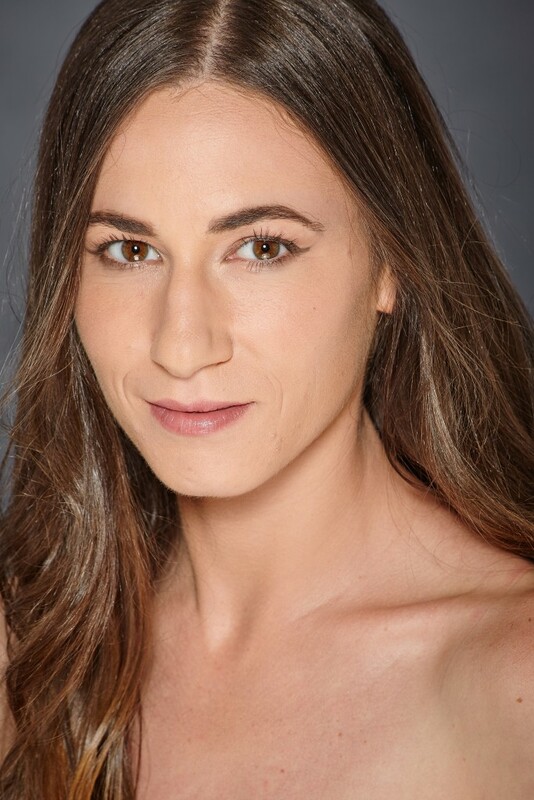 First staged by The Royal Ballet of London, Ballet West worked with Wendy Ellis Somes, a former principal dancer with The Royal Ballet, to stage and direct this production. The rags-to-riches story is set to Sergei Prokofiev’s memorable score beautifully performed by the Ballet West Orchestra directed by Tara Simoncic and also features breathtaking sets and costumes designed by David Walker. With all these world-class elements setting the stage, Ballet West dancers at every level stepped up to the demands of this classic as it develops over three acts—delivering a fantastic performance such a timeless tale deserves. Act I opens in the home of Cinderella’s father where her stepsisters and father are preparing to attend the royal ball. 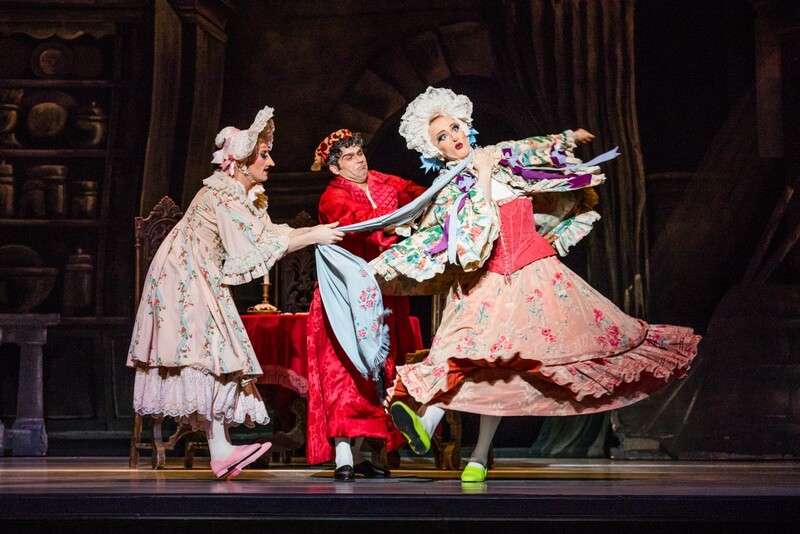 Cinderella’s ugly stepsisters, portrayed by the hilarious Principal Christopher Ruud and First Soloist Beau Pearson in drag, are comic relief at its finest. Fighting constantly, the pair jostle about—donning sky-high wigs and bonnets complimented by outlandish makeup and jewels. A beggar woman arrives at the door where she is sent away by the sisters but Cinderella kindly offers her bread. Later, as Cinderella (danced spectacularly by Principal Arolyn Williams) is left alone with only a broom for a dance partner and dressed in rags, the old woman reveals herself as her Fairy Godmother (Principal Emily Adams). As a reward for her kindness, the Fairies of the Four Seasons prepare Cinderella for the ball—magically turning a pumpkin into a coach and her rags into a glittering gown. Adams performs the role of Cinderella’s godmother admirably while First Soloist Sayaka Ohtaki as The Fairy Spring and First Soloist Allison DeBona as The Fairy Winter mesmerized the audience with airy movements that supported the splendor and grace of Cinderella’s eventual departure in her shimmering carriage. 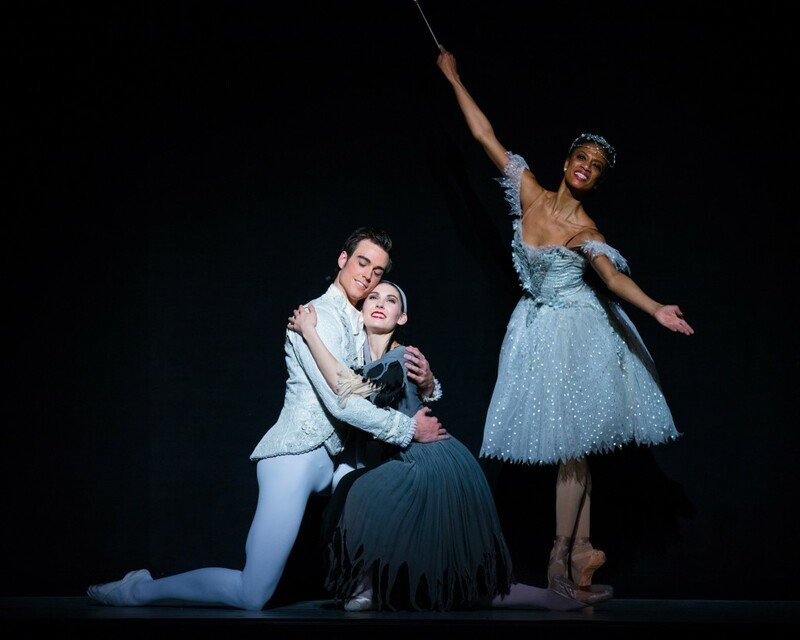 Williams’ touching performance in Act 1 captures both the kindness and innocence of Cinderella while showing strength and resilience of character in the face of adversity. 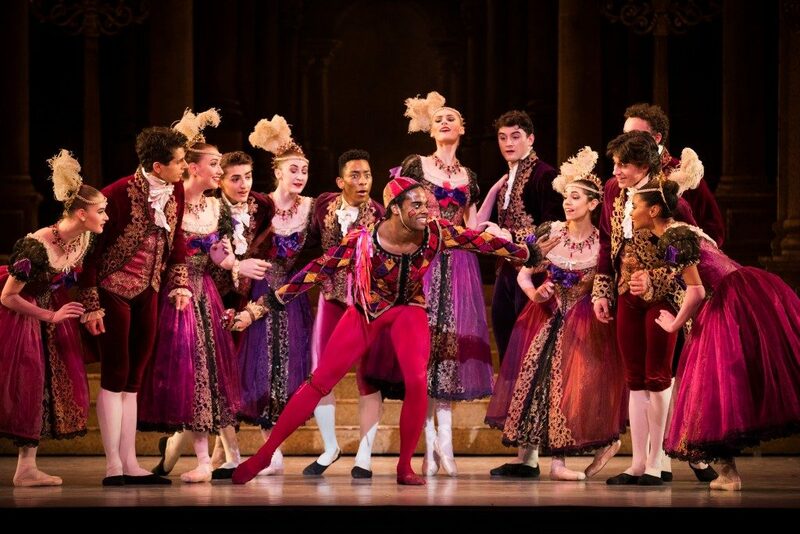 Act II begins in the palace with the energetic stylings of First Soloist Christopher Sellars as the jester, who immediately won over the audience with his split leaps, turns and jumps. This is countered by the slapstick bumbling of the stepsisters as they try to win the hand of several suitors, followed by a waltz worth pondering—leading to Cinderella’s dramatic entrance and ensuing descent down the steps en point which the opening night audience appreciated immensely. With the prince on her arm (performed commendably by Principal Rex Tilton) the two dance until the clock strikes midnight. Having forgotten the warning of her fairy godmother, Cinderella dashes out of the palace, leaving behind her glass slipper. Act III finds Cinderella awaking from what she thought was a wonderful dream but the discovery of a glass slipper in her pocket reveals it to be true. 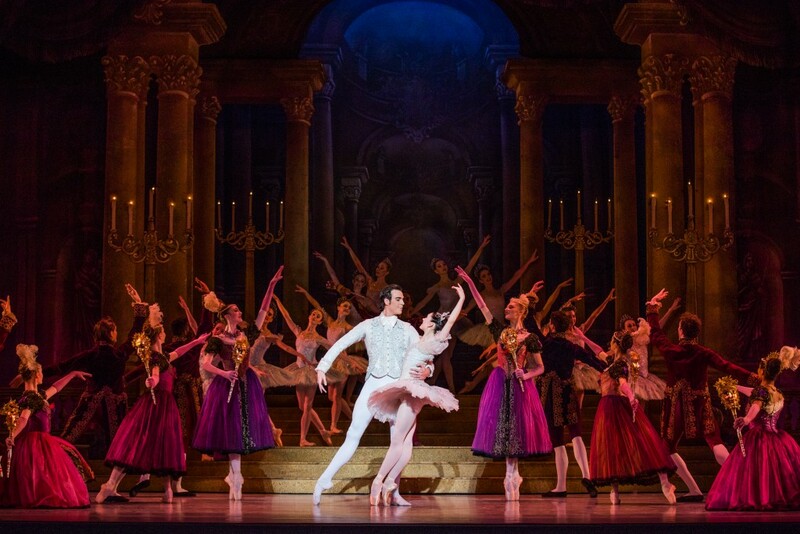 The Prince arrives to find Cinderella and dance their final pas de deux—destined to live happily ever after. For tickets to this magical fairytale, visit www.balletwest.org or call 801-869-6900. Ticketholders may also attend Ballet West Warm Ups. 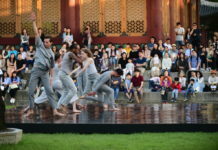 Beginning one hour before the performance, the informative session discusses the evening’s program including fun behind-the-scene facts, background about the ballet and other information.